Microsoft’s Band fitness tracker has been tricky to find online, but you might be able to snag one at Best Buy soon. Windows Central claims that Best Buy will start selling the Microsoft Band in 765 U.S. stores later this month. Best Buy hasn’t confirmed the report, which is based on leaked internal documents, but the retailer has been adding a smartwatch and fitness tracker section to its stores. The Band will reportedly hold court there with live demos. Microsoft announced the $200 Band in October, though it was a subdued launch with limited availability. The device was clearly rough around the edges, and Microsoft pitched it more as a showcase device for its Health service than as a finished product for consumers. But over the last couple of months, the Band has sprung back to life. 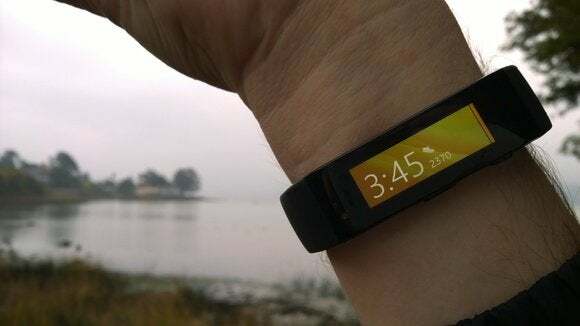 A January update to Microsoft Health added new guided workouts that users can track on the Band. A more substantial update last month added voice dictation, a quick-read mode for notifications, a virtual keyboard, and an SDK for third-party developers to make their own band apps. Why this matters: Until recently, Band has been nearly impossible to buy online, but it’s now showing up as in stock through Microsoft’s online store. Between the expanded retail availability and the recent slew of software updates, it sounds like Microsoft is ready to get serious about its fitness tracking hardware—just in time to take on the Apple Watch and a wave of new smartwatches from other big tech vendors.